Obesity is a perennial issue that is affecting people of all age groups. A study published in the ‘Journal of Obesity’ reveals the benefits of eating almonds for weight loss. People who try to cut down on their food intake, search for snack alternatives other than nuts because of their high fat and calorie content. Almonds, being an exception, are a great source of heart healthy monounsaturated fatty acids. Studies conducted by a group of researchers show that almonds being dense in nutrients can help in weight loss. Oleic acid is the primary monounsaturated fat in almonds and it has been associated with a reduction in unhealthy LDL cholesterol levels and a lower risk of heart disease. Almonds also contain good levels of minerals such as manganese, copper and magnesium as well as B vitamins like riboflavin, niacin and biotin. These nutrients are integral to the cellular processes that activate energy production within the body. Anything that helps you to feel more active and energetic can only be a good thing for losing weight. Almonds can effectively help suppress the cravings. These nuts also contain fiber which contributes to minimizing hunger pangs by preventing fats and calories to be absorbed by the body. Fiber binds the fat thus preventing it from reaching the intestinal wall and instead will be flushed out. 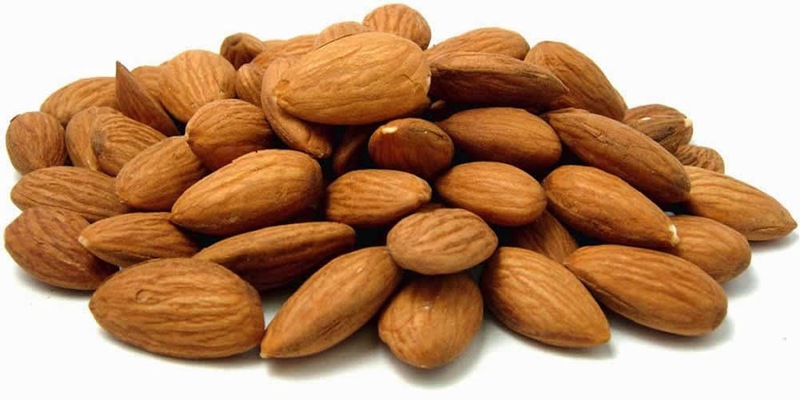 Another nutritional factor that makes almonds so good for reducing body fat is their high levels of protein. Raising the levels of protein and healthy fats in your diet while diminishing processed carbohydrates will help trigger the process of weight loss. Research studies from the ‘International Journal of Obesity’ have revealed that people eating a restricted diet with added almonds lose considerably more weight than those who consume restricted diet with the same calories of added complex carbohydrates. 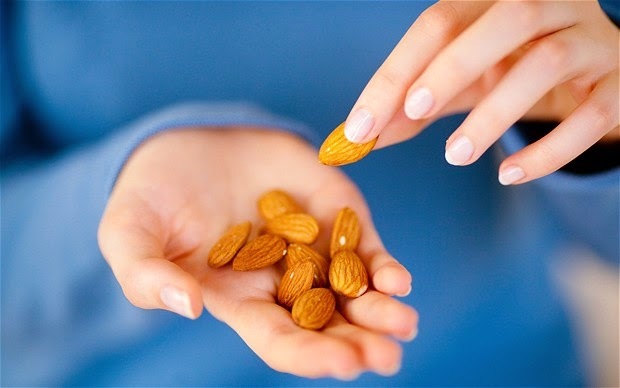 A handful of almonds is not only better for you and will fill you up for longer than grain-based foods, they seem to have a more pronounced effect on weight loss, even when calories are measured by scientists to be identical.